Are you sure you want to delete this bookmark? Welcome to the BC BPSD Algorithm Website! 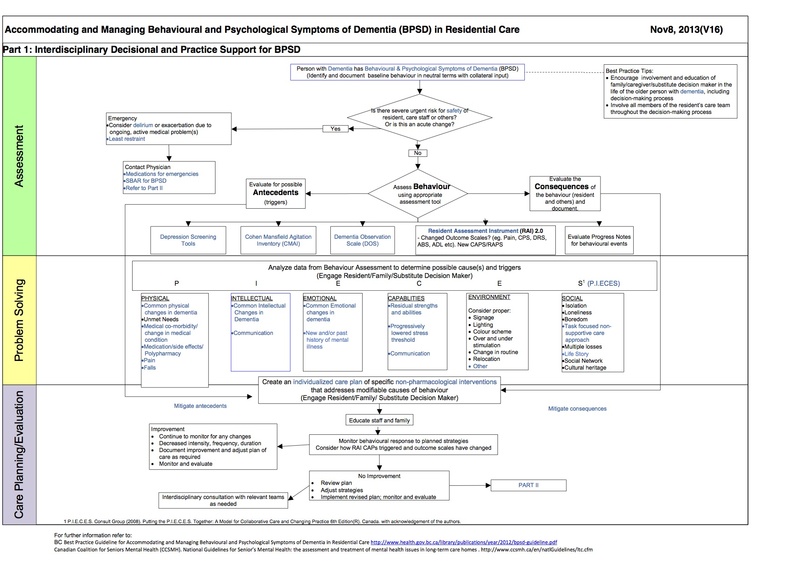 This is a practical, electronic, interactive tool intended to support interdisciplinary, evidence-based, person-centred care for persons with behavioural and psychological symptoms of dementia (BPSD). 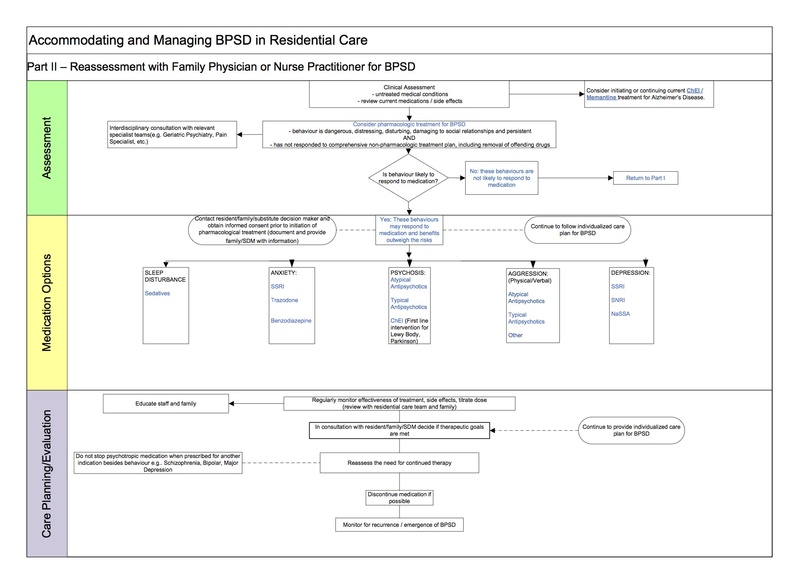 The algorithm is intended to be combined with the BPSD Best Practice Guideline.